ETLive is a closed-source project which aims to be like Quakelive but for Wolfenstein:Enemy Territory. 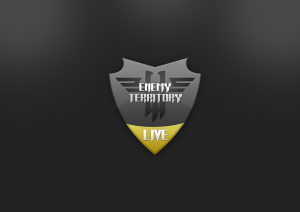 ETLive was a project that roughly started in 2011 which goal was to create a browser embedded version of Enemy Territory. Back then, the ET community was(and still is) divided over multiple ET versions, mods and suffering from ghost servers(redirect and ‘full bot’ servers). Also new players would not know what to download or which server to go to. A new centralised community combined with official servers would solve a lot of issues. And thus the idea of ETLive was born. We quickly had a nice little prototype working with one static HTML page and a FireBreath (NPAPI) plugin. 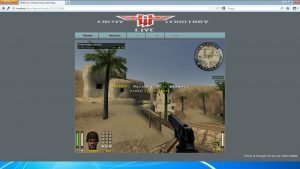 The plugin was responsible for rendering the game inside the HTML canvas and forwarding input from the browser to the game. After that it was vital to create a login system from we could expand and implement more features. 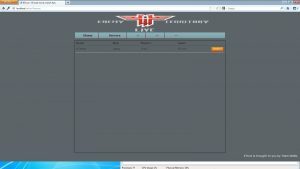 We started with a simple CakePHP page, later ASP.net and finally switched to Python with the amazing Django framework. During the development of ETLive it became clear that Google and Firefox decided to stop supporting NPAPI plugins. We were unsure how long this would take so we kept on developing hoping one browser would still support it as an exception. In the end it was clear NPAPI would be gone forever, we had to change tactics. By then we were already using the amazing ETLegacy project, which was an open-source, optimized Enemy Territory. One of our team members, Toni, suggested we could change the engine so it could be used as a protocol, eg. etlive://some-ip. This way we could start the game from the browser and become more like a launcher, like Battlenet. 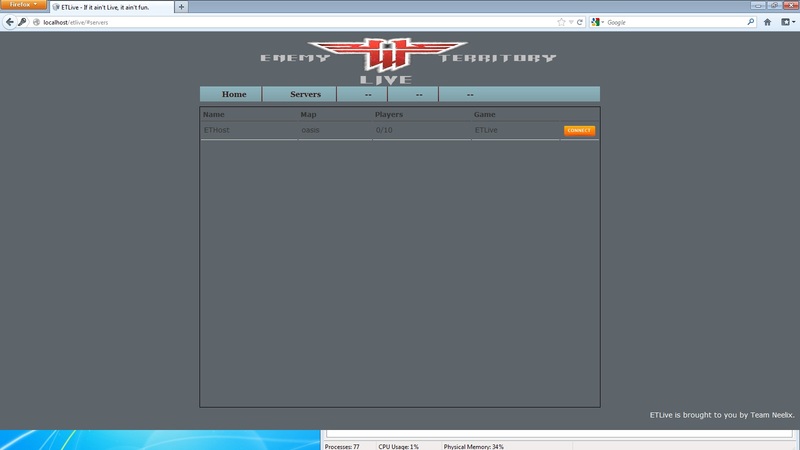 The launcher proved to be working and we even had communication between the servers and back-end. The back-end would later run inside Docker containers thanks to help of one of our team members, Marcus. However, due to the lack of proper project-management, too often switching technologies, lack of time and a non-coherent team, we decided to kill the project after 4 years. There was simply not enough progress or inertia to continue. Despite the fact we had to kill the project, we did learn a lot regarding project (mis-)management, Django, EmberJS, Docker and the ET engine. A longer blog post containing the post-mortem of the ETLive project is still pending. This will contain information about our process and what technology we used.